PC version doesn't include multiplayer. 7.1 "Please insert the Red Faction II disc 1 into your CD-Rom drive"
7.3 "At least 8MB of available video memory is required to run"
DRM: Disc check, which detects removal after launch. Modern resolutions are supported but stretched. Use Widescreen fixer. High frame rates may cause script timing errors in cutscenes, but does not affect gameplay. 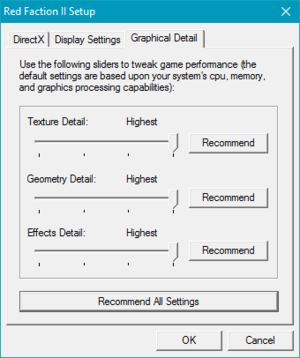 Click on DirectX tab, set DirectX8. 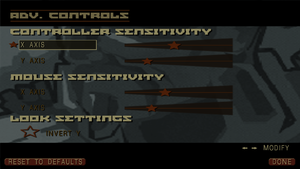 If enabled, hints display controller buttons if you use the keyboard/mouse. 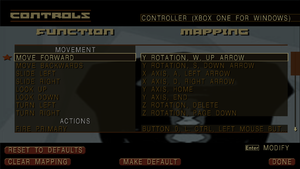 Actions can not be bound to triggers on X360 controller. Subtitles exist in-game, but are never displayed. Full pause on focus lost. 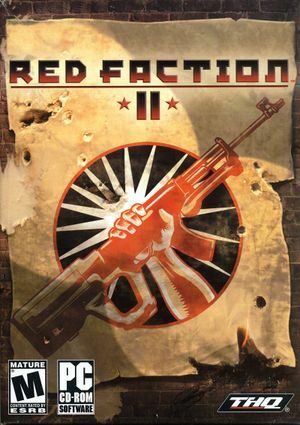 "Please insert the Red Faction II disc 1 into your CD-Rom drive"
If you have no optical drive at all, create an empty virtual CD drive. The game should now start on the correct monitor. Try different values if problems persist. 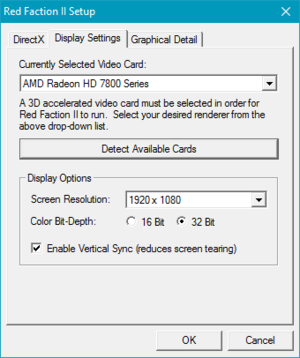 "At least 8MB of available video memory is required to run"
If running Red Faction II on a 64-bit system with more than 2GB of RAM, the game may crash during launch. 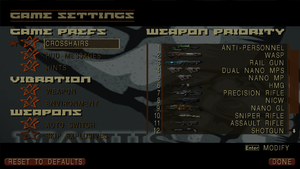 Download NebulaMods RF2 Steam Autopatcher. Run the AutoPatcher, setting target file to <path-to-game>\rf2.exe. ↑ 2.0 2.1 File/folder structure within this directory reflects the path(s) listed for Windows and/or Steam game data (use Wine regedit to access Windows registry paths). Games with Steam Cloud support may store data in ~/.steam/steam/userdata/<user-id>/20550/ in addition to or instead of this directory. The app ID (20550) may differ in some cases. Treat backslashes as forward slashes. See the glossary page for details.